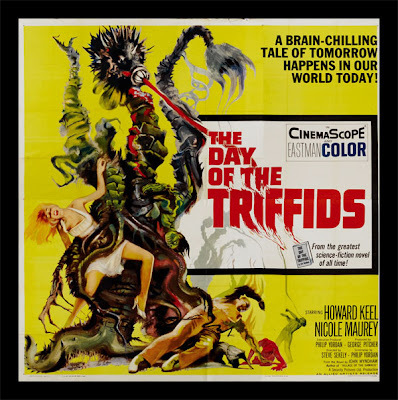 The BBC television adaptation of John Wyndham's 1951 novel, The Day of the Triffids, alongside well known contemporaries such as Doctor Who and Survivors, celebrates the well earned status of sci-fi cult classic. The post-apocalyptic story told the terrifying tale of mankind succumbed to the horrors of the mysterious and ostensibly intelligent Triffid plants. The plant that was horrifyingly found to eat the rotting flesh of its victim's corpses would have been made extinct during the early years of its discovery were it not for the monetary gains that could be made from the harvesting its seeds. Hmmm... I don't think I've ever heard of it! You surely make me want to watch it though! Are they officially going to do a remake? I never heard of this, but I am def willing to check it out. You always have such interesting post and I always feel like I learn something new every time I come by. Enjoy your week! Cool! I love the BBC they always have the coolest most eccentric stuff. Have you ever seen The Mighty Boosh? Ha it is hilarious! I just added the 1981 version and the 1963 version to my Netflix queue! I'm such a sucker for these types of films! Thanks for sharing. I have something in my blog for you, please check it. I've not seen this in ages! I remember being absolutely terrified as a kid, though I don't remember the plot much. What stands out to me the most out of this is the freaking cool style of the poster. Totally dig it! Hey there. Wow. That looks really cool. I've never seen it before. I hope you've had a great weekend. Take care. Cheers! cool. the things you find. how do you do it? 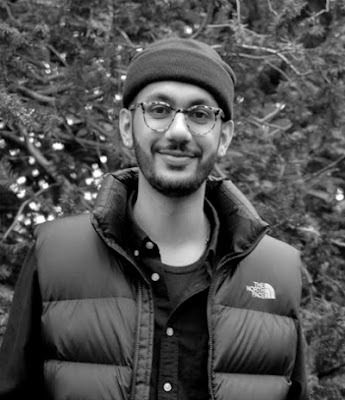 You're blog is inspiring! I just finished some of your last few posts, too! and this is such a classic! They really don't make horror/suspense films like they used to! I was speaking with a friend about horror genre trends. Right now, we're having a big vampire moment... with lots of TV and film jumping on that bandwagon. But a lot of the cult classics used to be about horrors of the human flesh and cannibalism. I love Day of the Triffids!! I am adding the '81 version to my Netflix. I'm a little weary of remakes, however...these days, it seems Hollywood wants to cheapen classics. Have you seen the original Brideshead Revisited? Brilliant. But the Hollywood movie that came out a year or so ago is horrific. Remakes like that make me want to cry. (Okay, I actually did cry for that one). errr.. i've never heard anything about this, but looks like fun. Ooo This looks neat, thanks for sharing :) I always enjoy a good movie. Is it really bad that I've never heard of it? I guess there it's never too late to start watching it! i have never heard of this. hoped you had a wonderful weekend. Very cool! Adore Doctor Who---by the by---talk about some great costuming and clothing! Very cool! This explains a lot--I have a friend who often refers to triffids and I had no idea what he was talking about. checking out your youtube posting horita!